Do I Need to Attend the Office of Education and Vocational Rehabilitation Meeting? Yes. The Office of Education and Vocational Rehabilitation (OEVR) is a division of the Department of Industrial Accidents for Massachusetts workers’ compensation cases. The OEVR provides assistance to eligible injured workers to help them return to appropriate gainful employment. When an injured employee in Massachusetts receives a letter from OEVR with a date and time to meet with someone at the OEVR, the employee must attend. The laws in Massachusetts provide for certain penalties for employees who fail or refuse to attend the meeting or cooperate in the process. For example, an injured worker who fails to attend the mandatory meeting is not entitled to receive workers’ compensation benefits during the time they refuse to cooperate. Also, an employee that has been found suitable for educational or vocational rehabilitation services and thereafter refuses to cooperate will suffer a reduction in their weekly disability compensation checks. So, if you receive a letter from OEVR informing you that you need to attend a meeting, you should do so or consult with an experienced Massachusetts workers’ compensation attorney. 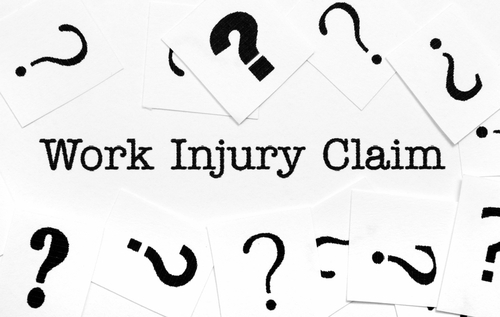 Do You Have Questions About A Work Injury? If you, or someone you know, has been injured on the job in Massachusetts and you are not sure the employer had workers’ compensation insurance, feel free to call us at (508) 879-3500 or contact us online. Our legal team will answer your questions and evaluate your case for free. Can I Collect Workers’ Compensation in Massachusetts if my Employer Doesn't Have Insurance Coverage? Yes. In Massachusetts an injured worker can still file for and collect workers’ compensation benefits if his or her employer or boss did not have workers’ compensation insurance coverage at the time of the work accident. If it is discovered that the employer did not have coverage, a claim can still be filed against The Workers' Compensation Trust Fund. This Trust Fund was created by a specific statute in Massachusetts (M.G.L. c. 152 § 65) and is available for employees who were hurt on the job and whose employer did not carry workers’ compensation at the time of the accident. The Trust Fund would stand in the place of the workers’ compensation insurance and provides the same benefits available to an injured worker as if there was insurance. 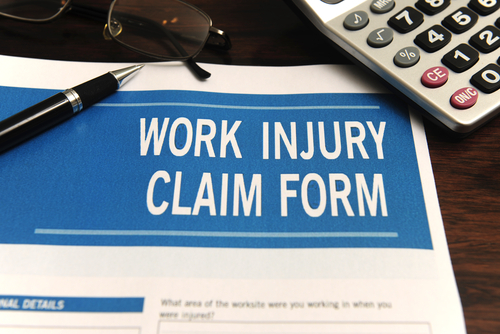 The injured worker must still meet the necessary requirements in order to be eligible for workers’ compensation benefits from the Trust Fund. (For example, the injured worker must establish that the injury arose out of and in the course of employment.) The workers' compensation claim will proceed in the normal course of a workers' compensation case in Massachusetts. There are requirements, however, before filing a workers’ compensation claim against the Trust Fund. A certification of no insurance must be obtained from the Office of Insurance at the Department of Industrial Accidents. This is why it is best to contact an experienced workers’ compensation attorney for advice after being hurt at work. Can I Continue to Collect Workers’ Compensation in Massachusetts After I am Fired? Yes, you can continue to receive workers’ compensation benefits in Massachusetts even if you are terminated, released or fired by your employer while on workers compensation. Of course, this is true provided you continue to qualify for workers’ compensation. This means that you remain temporarily disabled, either totally or partially, and/or you require reasonable and necessary medical treatment that is related to your work accident. Most workers in Massachusetts are covered by workers’ compensation with a few exceptions. 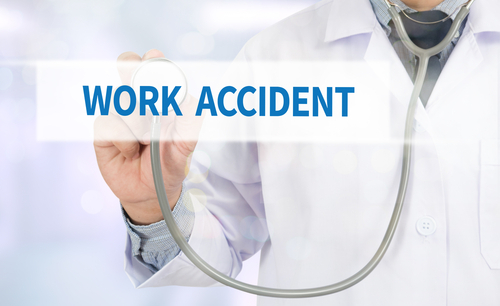 If a worker is injured in a work-related accident, he or she is entitled to benefits from their employer’s workers’ compensation insurance policy. The benefits available include disability or incapacity benefits and medical benefits. The disability benefits will replace a portion of your lost pay if you are disabled for five or more days. If your work accident causes you to be totally disabled, you can receive 60% of your average weekly wage. If you are only partially disabled and can still work, but cannot earn your average weekly wage before the work accident, you qualify for partial disability. The maximum partial disability you can receive is no more than 75% of your weekly total disability rate. The medical benefits will cover the full cost and expenses of reasonable, medically necessary treatment that is related to your work injury. This means that if you are hurt on the job, your employer’s workers’ compensation insurance policy will pay for all of your medical bills and expenses. We represented a woman who was employed as a certified nursing assistant in Dedham, Massachusetts. While at work one day she was helping a patient maneuver on to a bed. In the process, our client injured her back. She took all recommended steps for her work accident and reported the accident and got medical attention right away. She was diagnosed with a herniated disc in her lumbar spine and was out of work for quite a while. Because of her injury and disability, she collected workers’ compensation benefits for over two years. After a year of being out of work, her employer terminated her. When our client received the letter from her employer informing her that she was being released, she was very concerned about losing workers’ compensation. We reassured her that she will continue to receive her workers’ compensation checks even though she was terminated by her employer. Also, worker’ compensation continued to pay for her treatment for her back injury. With bills to pay and children to support, this client was relieved to hear that she will continue to get her disability checks. If you, or someone you know, has been injured on the job in Massachusetts and you have questions or are confused about what to do, feel free to call us at (508) 879-3500 or contact us online. We will answer your questions and evaluate your case for free. Can I Receive Compensation if my Spouse Was Hurt in an Accident? Yes. 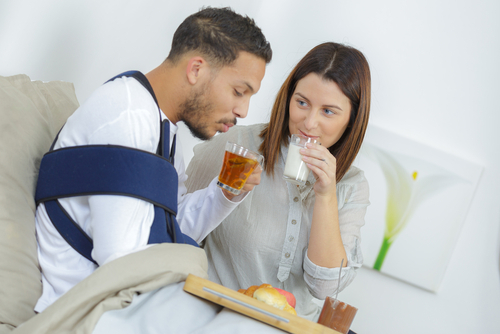 In Massachusetts, if you are married and your spouse was injured in an accident that was caused by someone else’s negligence, you can seek and receive compensation for your own damages. This type of claim for compensation is called “loss of consortium”. Consortium is the right that a spouse has to certain benefits with his or her spouse. The highest court in Massachusetts (the Supreme Judicial Court) has defined the damages a spouse suffers for loss of consortium as the loss of a spouse's "services, society, affection, companionship, and relations." This right a spouse has to recover compensation for loss of consortium is completely independent of his or her spouse’s negligence claim. To better explain loss of consortium, let’s look at an example. We represented a man that was hit by a car as he walked on the sidewalk in Boston, MA. This man was married at the time of the accident. He suffered a broken collar bone, torn rotator cuff and a fractured bone in his foot. He had surgeries to repair his torn rotator cuff and the broken bone in his foot. Due to his injuries, surgeries and recovery, he was quite miserable. This had a significant impact on his relationship with his wife. She explained that ever since the accident her spouse had become distant and less affectionate, which put a strain on their marriage. A personal injury lawsuit was filed against the negligent driver that struck the husband. In the lawsuit, a separate cause of action was also filed against the negligent driver by the wife for her loss of consortium. This case was ultimately settled and the wife received compensation for the damages she suffered for loss of consortium. 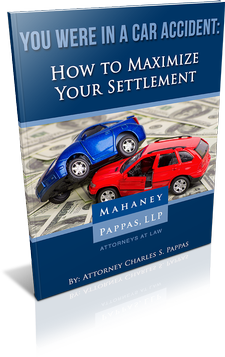 Mahaney & Pappas, LLP has over 35 years of experience representing accident victims and their families get the compensation they deserve. If you or a loved one has been injured in an accident and you are confused or concerned about what to do, you should speak with an experienced personal injury attorney. We offer complementary initial meetings where we will review your case, answer your questions, and explain your rights and legal options. To speak with someone on our legal team or to schedule your meeting, please call (508) 879-3500 or contact us online. Before this question is answered we must clarify one thing. When clients ask us this type of question, we usually need to get more specific about what “going to court” really means. When some people say “go to court” they mean whether or not they will actually need to go to the court and testify. Others use it to describe whether a lawsuit will need to be filed. Either way, the short answer to this frequently asked question is “No”. But, each accident case is different. Most personal injury claims from motor vehicle accidents in Massachusetts are settled with the auto insurance company before you ever need to file a lawsuit or go to court. In other accidents, there may be issues that may result in the injured party needing to file a lawsuit and possibly go to court. Example 1: We recently represented a young woman, who suffered a neck and back injury in a car crash in Medway, MA. This client was stopped at a red light and was rear-ended by another car. Our client suffered a bulged disc in her cervical spine (neck) and a herniated disc in her lumbar spine (lower back). Because liability was reasonably clear (i.e., the other driver was clearly at fault and his auto insurance company accepted that he was negligent) we were able to settle this personal injury claim without the need to file a lawsuit or ever go to court. Example 2: In another case, however, our client was driving in Newton, MA and as he proceeded through an intersection, another car took a left hand turn directly in front of him. Our client ended up colliding with the other car and suffered a fractured arm in the accident. The other driver’s auto insurance company denied liability and argued that our client was at fault for causing the accident. In this situation, we needed to file a lawsuit against the other driver. Following the discovery process of a Massachusetts personal injury lawsuit, evidence was obtained that supported our client’s version of how the accident happened and we were able to settle the case before our client ever needed to go to court. So, in this example, we needed to file a lawsuit, but our client did not need to actually go to court to testify at a trial. 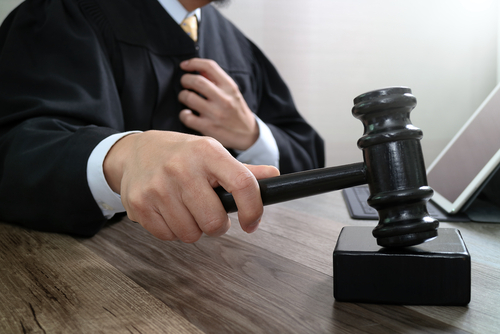 As you can see, there are different scenarios that will dictate whether you will need to go to court or not in order to resolve your personal injury claim. In order to be certain whether you will need to file a lawsuit or go to court, you should consult with an experienced Massachusetts accident attorney. If you have been hurt in an accident in Massachusetts and you are not sure whether you will need to go to court or not, you should consult with an experienced personal injury lawyer. This will get you answers to your questions, general information about accident cases and advice on the appropriate and necessary legal steps to take. 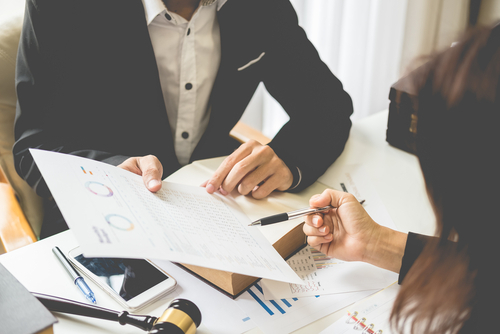 At Mahaney & Pappas, LLP, we offer complementary initial meetings where we will review your case, answer your questions, and explain your rights and legal options. To speak with someone on our legal team or to schedule your meeting, please call (508) 879-3500 or contact us online. I was hurt in an accident, but I’m not sure if I have a case? What do I do? Many times when people are injured in an accident in Massachusetts they are not sure whether they have a case or not. If you are not sure, you should get in contact with an experienced personal injury attorney. Most lawyers offer free consultations, so you have nothing to lose to pick up the phone and speak with an accident attorney. So, even if you do not have a case, it will cost you nothing to consult with an attorney. Regardless of whether your injury was suffered in a motor vehicle accident, slip and fall or a work-related accident, getting an expert legal opinion or advice is highly recommended. Getting an expert evaluation of your accident case will protect your rights, especially where there are many deadlines for personal injury cases and workers’ compensation cases. Also, if you do have a valid legal claim or case, an experienced injury lawyer in Massachusetts will be able to advise you on what steps to take and the many pitfalls to avoid for your claim or case. If you have been hurt in an accident in Massachusetts, find out if you have a case. Speaking with an experienced personal injury lawyer will get you answers to your questions, information about accident cases and advice on the appropriate and necessary legal steps to take. Don’t forget, for answers to many questions and great information on how to get the best possible settlement in your accident case, get a copy of our book: You Were in a Car Accident: How to Maximize Your Settlement. This book will provide you with information to help maximize your accident settlement. Best of all, it’s free. Can I Still Get Workers’ Compensation if my Injury is From Repetitive Use and Not a Specific Accident? The short answer is yes, but each case must be analyzed on their own specific facts and circumstances. The purpose of the Massachusetts Workers’ Compensation Act is to provide injured employees certain benefits to replace a portion of their lost wages (disability benefits) and to cover the medical costs and expenses of their treatment (medical benefits). These benefits are available to workers, who were injured on the job regardless of fault. The injury an employee suffers does not necessarily need to be from a specific or identifiable incident or accident. In Massachusetts, “personal injury” for a workers’ compensation case includes injury to the body itself. This means that workers’ compensation benefits are still available for employees in Massachusetts whose injury or injuries occur over time from repetitive use (a/k/a wear-and-tear). The injury and symptoms, however, must arise out of the employee’s work activities and a doctor must causally relate the injury to work. For Example: We had a 55 year old gentleman that was working in a cardboard factory. For years he worked on the floor of the warehouse and was required to lift heavy packs of cardboard over his head and into a special machine. Over time this employee noticed that his shoulder began hurt and continued to get worse with every day at work. One day the pain got so bad he reported it to his supervisor and saw a doctor. He was later diagnosed with a partial tear of his rotator cuff tendon and a shoulder impingement. His doctor provided an opinion that these injuries developed over time at work. We were able to get this injured worker the workers’ compensation benefits he deserved even though his injuries did not occur from a specific accident. Now keep in mind that the workers’ compensation insurance companies will sometimes deny claims that involve wear-and-tear or repetitive use injuries. They often argue that they are not work related and may have happened somewhere else. If this happens to you, don’t get upset. You still have the right to file a claim for benefits. If you, or someone you know, has been injured on the job in Massachusetts and you have questions about what to do or what you are entitled to, feel free to call us at (508) 879-3500 or contact us online. We are happy to explain the workers’ compensation process to you, answer your questions and evaluate your case for free. How Long Do I Have To Be Employed Before I Am Covered By Workers’ Compensation? In Massachusetts, a worker does not need to be employed for any specific period of time before he or she is covered by workers’ compensation for an injury suffered in a work related accident. An employee is covered and protected by workers’ compensation insurance at the moment he or she is hired. For example: Our office represented a young man who was injured on his first day at work. This client accidentally cut his hand with a retractable utility knife. The laceration required five sutures to close the wound. While the injury wasn’t serious enough to keep this new employee out of work, he did incur over $2,000 in medical bills. Because he was employed (even for just one day) and the accident occurred in the course of his employment, he was entitled to workers’ compensation. All of the medical bills were covered by the workers’ compensation medical benefits. Additionally, we were able to secure a significant amount of money for this young man for the scarring that resulted on his hand from this accident. What Should I Bring to my Meeting with A Personal Injury Lawyer? Copies of any police reports, motor vehicle crash reports, accident reports or any other incident reports that may explain how the accident occurred and who the involved parties and witnesses are. Photographs and videos are extremely helpful in accident cases. These items will help you and your lawyer examine where and how the accident happened. Pictures of your injuries are also helpful. Documents and letters you may have already received from the potential responsible party and/or their insurance company. Remember, you shouldn’t sign any documents the other party’s insurance company mails you asking you to sign. Bring it to your meeting with the attorney so you can review it together to determine whether you should or have to sign it. In motor vehicle accidents, you should bring your car insurance information, such as your Personal Auto Coverage Selection Page. 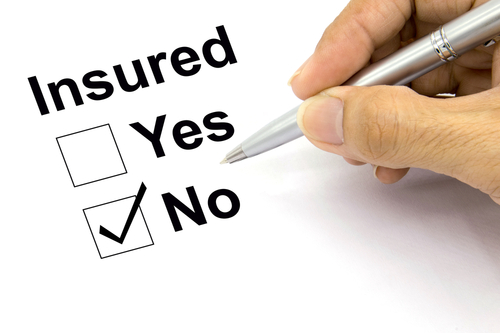 The Coverage Selection Page shows the coverages you have and is issued by your auto insurance company. This will be helpful in determining additional insurance coverage, such as Uninsured or Underinsured coverage, in the event the person who hit you doesn’t have insurance or enough insurance to cover your injuries and damages. Your health insurance information is helpful in certain accident cases. For instance, your health insurance will determine how much PIP coverage you are entitled to. Hospital, doctor or other health care documents and/or reports will enable the lawyer to determine the extent of your injury and needed treatment. While this is just a summary of certain documents that will be helpful to an evaluation of your accident case, you should bring any other items you feel may assist the attorney in getting a complete understanding of your case. If you have been injured in an accident in Massachusetts, you should speak with an experienced injury attorney. Mahaney & Pappas, LLP has extensive experience helping people get the compensation they deserve for their injuries. We offer free meetings to evaluate your case. For additional information about a specific accident or case or to schedule a time to meet with us, please call (508) 879-3500 or contact us online. Is the information I provide my personal injury attorney confidential? 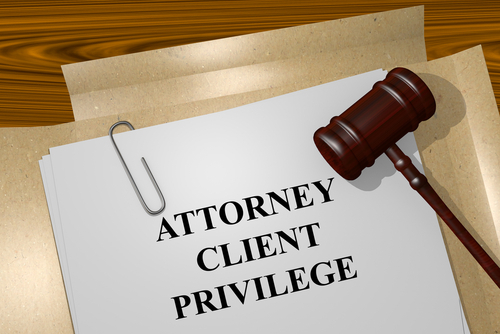 Knowing that the communications between yourself and your attorney is confidential and privileged, it is important to be honest and forthcoming with your attorney about certain facts that may be relevant to your personal injury case. One such fact pertains to prior injuries. It is important for an injury victim to share information about prior injuries so that we can fully evaluate your case. It is also important so we are not taken by surprise by the insurance company or defense and can prepare and strategize how to handle prior injuries. Have you Been Injured in a an Accident in Massachusetts? If you have been injured in an accident in Massachusetts, you may be entitled to financial compensation. You may have many questions like the one above. If so, feel free to call us at (508) 879-3500 or contact us online to schedule a complimentary meeting and case evaluation. We will explain your legal rights, what you are entitled to and how we can best help you.